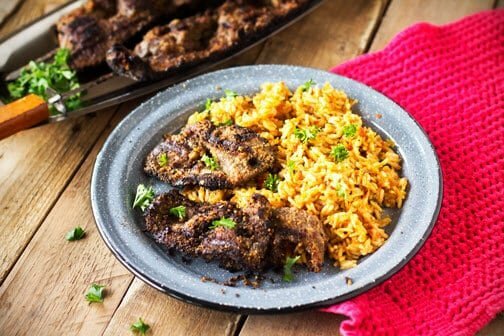 The taste of this popular West African street food is epic! 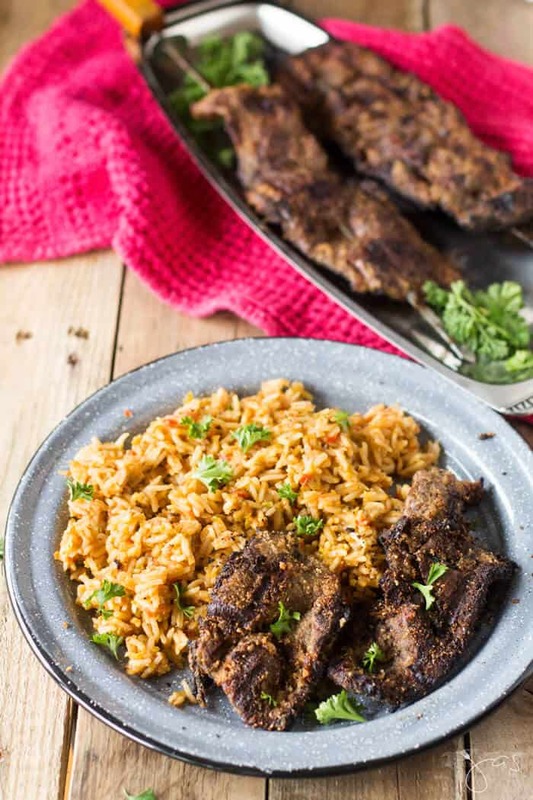 Suya, Nigerian beef kebabs, are seasoned with spicy peanut sauce and grilled to perfection. It’s not quite the grilling season in Northern Indiana. Mornings are still frosty and days barely break above 40F, but the robins are back and their cheerful chirping can only mean that spring is darn near. If you know me, you know I’m obsessed with genealogy and on a quest to find everything there is to find about my ancestors. Interestingly enough, my DNA test revealed that I’m 1% Nigerian. So I asked my Nigerian-born “cousin” Colin, aka The Simple Cook, what his favorite dish is and he said suya, of course. 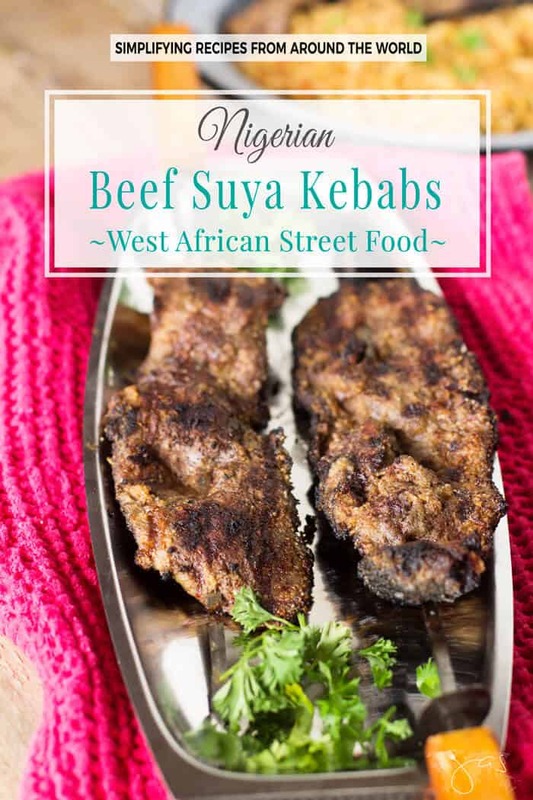 Suya has become a Nigerian national dish with different regions that claim the superiority of their recipe and methods of preparation, but similar grilled meat recipes are common in many West African countries. 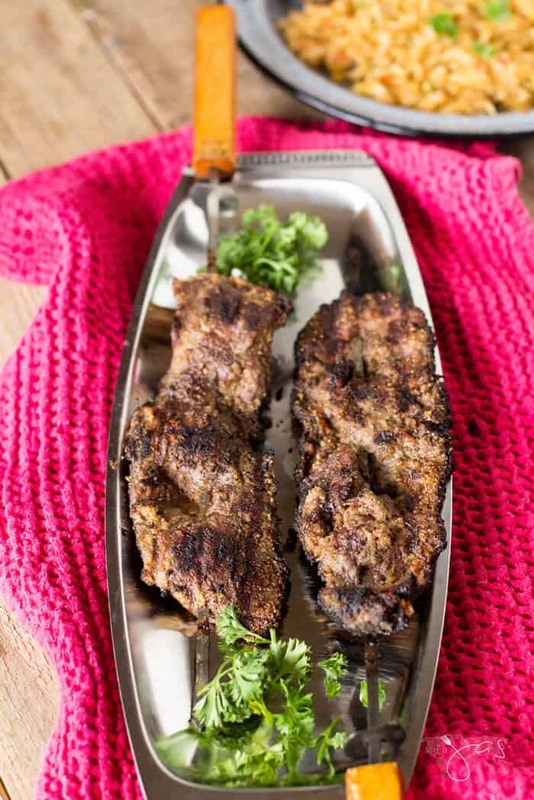 The classical suya is made with ‘kulikuli’ powder, a locally made roasted peanut cake in which they remove the most of the peanut oil. A good substitute is peanut butter powder. However, I adapted the recipe from Kitchen Butterfly and marinated the beef in homemade peanut sauce. I suppose you could simplify the recipe by using peanut butter and thin it out to a paste consistency. If you know me, you also know I have almost zero patience. No way I was going to wait until BBQ season to make suya. Or bake it in the oven. Nope, I fired up my grill and flamed these babies like nobody’s business. You guys, my 1% Nigerian and the rest 99% ethnicities absolutely love this beef dish. Surprisingly, it doesn’t taste peanutty (legit word). But peanuts should get the credit for these unique and incredibly tasty kebabs. 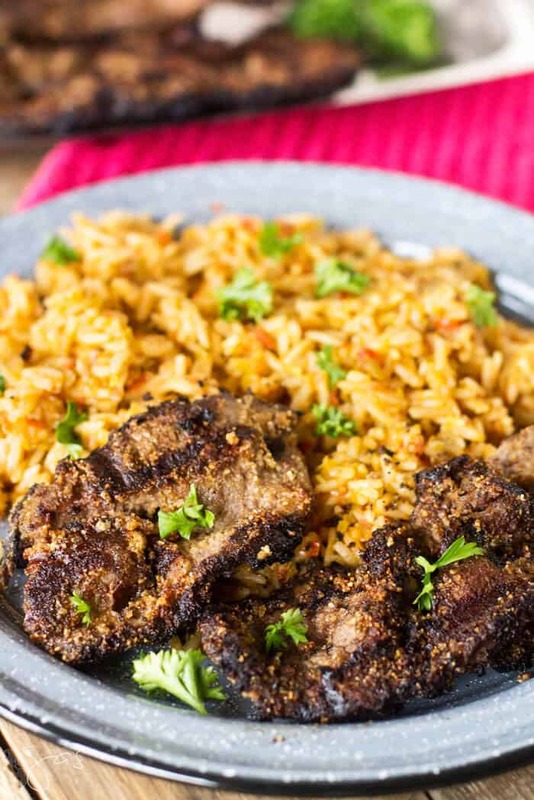 Suya can be served with jollof rice, which reminds me of our djuvec rice, or fresh chopped tomatoes and onions. Thanks to my cuz Colin for introducing suya flavor to our palate. It’s a must-have food item for your next cookout! Partially freeze the meat for at least 30 minutes before cutting. It makes it easier to slice into thin strips. If you’re using wooden skewers, soak them in water for at least 30 minutes. In a food processor, grind the peanuts into a fine powder (scrape the sides with a spatula to loosen the sticking nuts). Drizzle in the oil and blend until you get a thick, creamy consistency. Stir the spices into the peanut paste, mixing well. For really spicy hot suya, use more cayenne pepper. Adjust as required. Cut meat against the grain into very thin and flat slices. If your cut of meat is not thick enough, you may cut it into chunks instead. 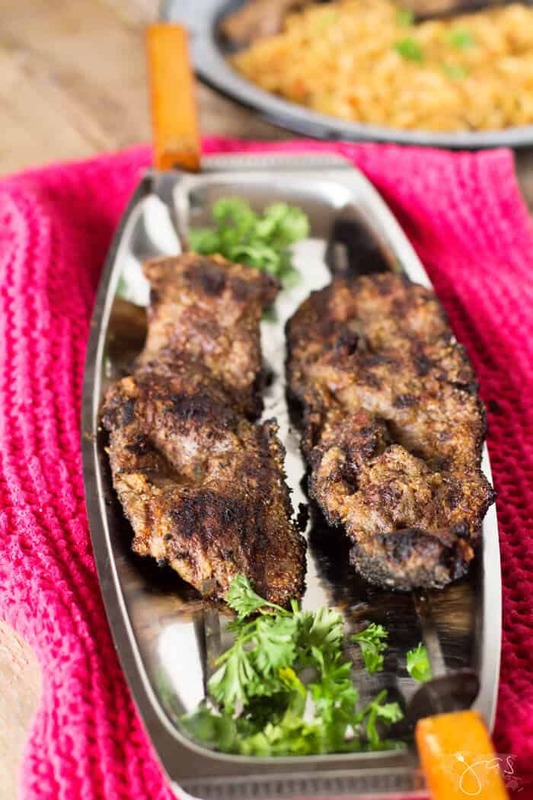 Dip and roll the meat in the peanut-spice mix, making sure the meat is completely coated. Allow meat to marinate for a few hours or overnight. Place the meat strips on skewers. Grill, turning once until meat is done, about 10 minutes. Alternatively, broil or bake in a 400 F hot oven until done. 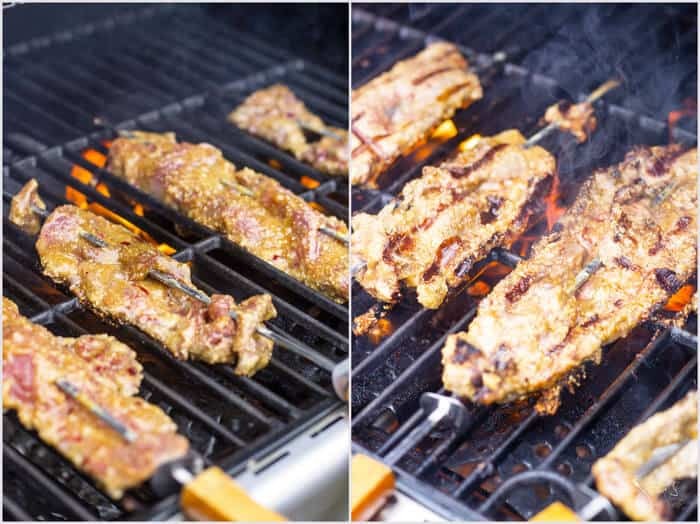 Popular street food in West Africa, the Nigerian beef kebabs, aka suya are rubbed in spicy peanut mixture and grilled to perfection. If you're using wooden skewers, soak them in water for at least 30 minutes. Featured on: Keeping It Simple. This looks like a wonderful recipe, however Pinterest is blocking me from pinning it, saying that it might lead to inappropriate content. I know! 🙁 I contacted Pinterest but it hasn’t been resolved yet. So frustrating. There is no inappropriate content. I don’t get it. Thanks for trying, Liz! These sound delicious and the pictures are so beautiful – it’s making me hungry 🙂 Thanks for sharing on To Grandma’s House We Go! I’m happy you like it, Chas! This recipe looks delicious. 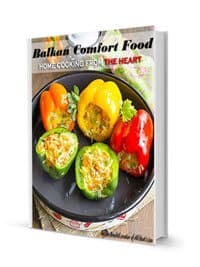 I love ethnic recipes, and will be Pinning this one. Thanks for sharing on Sunday’s Best. Thank you, Rhonda! It is delicious and I’m sure you’ll like it. 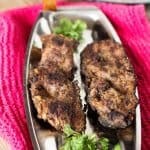 Oh my, this recipe sounds so good and LOOKS so good–the spices are amazing! Will be pinning. Thanks for sharing at Party in Your PJs! Very unusual! I’ve never heard of it before. Thanks for sharing with SYC. Thanks for joining us at Fiesta Friday! Oh yum! This recipe looks amazing! So yummy and flavorful and different, too. Yes, all of the above, Amy. 😀 Thanks for stopping in and have a great weekend! 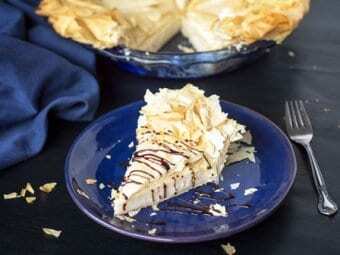 Thankfully I was able to pin this amazing recipe. There is never a dull dinner moment in your home and I really want to try this. Thank you for sharing with us at Celebrate Your Story and have a great weekend. Thank you, Sandra. 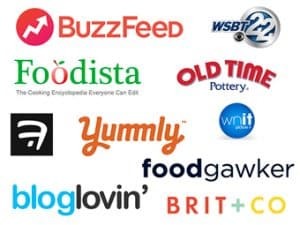 Pinterest went crazy for a while and blocked some of my links for “inappropriate content”. OK, whatever, lol. Enjoy your weekend! This is a recipe I seriously need to try…it sounds so flavorful!!! Thanks for sharing on Friday Frenzy! Wow, that’s incredible! I wish we did too, but the winters here are harsh and my husband is usually not willing, lol. I am and I wish you the same! Jas this looks like something my kids would love! They are obsessed with Kebabs, wonder why?